The Foundation honors America’s fallen fire heroes by sharing how they lived and what they meant to their loved ones, their communities, and our nation. The Roll of Honor lists the names of all firefighters honored at the National Fallen Firefighters Memorial since 1981. Read about these fallen heroes who died in the line of duty on individual tribute pages. Survivors of firefighters honored at the Memorial can send a tribute and photo to include on the Roll of Honor. The National Fallen Firefighters Memorial was built in 1981. It is a striking stone monument encircled by plaques listing the names of fire service members who died in the line-of-duty since then. 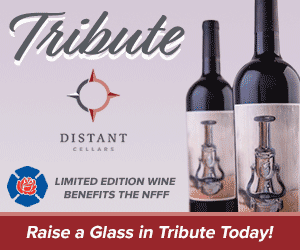 The National Fallen Firefighters Foundation has initiated <a href=”/project-roll-call/”>Project Roll Call</a> in order to identify and honor firefighters who died in the line-of-duty prior to 1981. The Foundation plans to honor these firefighters on our website and in the National Memorial Park in Emmitsburg, Maryland. Our mission is to provide an avenue for fire service families and departments to submit a profile of a loved one or colleague who made the ultimate sacrifice prior to 1981. All information collected will be researched and verified using guidelines very similar to the National Fallen Firefighters Foundation Memorial Inclusion Criteria.